D4R are no strangers to sports retail and our positive work in this industry sparks the need for consistent research. 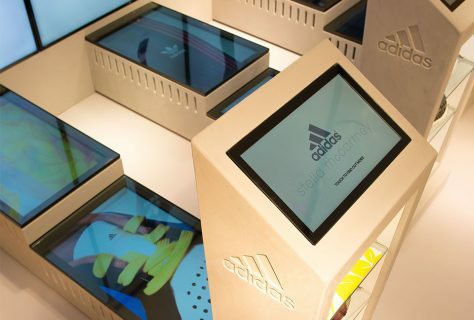 Across the globe, sports retailers are initiating various trends as part of their physical retail, from advanced technologies through to temporary pop-up spaces. As we enter 2017, we’ve assessed the trends so far within retail, as well as what could be big this year. We've collated our top ten sports retail trends to stay ahead of the game this year. Find the top five below in part one of our latest research + insights piece and keep a look out for part two - including our predictions for the future of sports retail - in the next week! 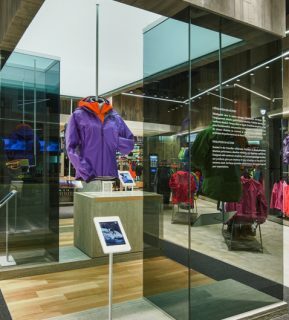 The future of physical retail leaves behind flagship, sales and showmanship replacing them with brandship, customer-first design and immersive experiences; a trend which sports retail has been developing for some time. 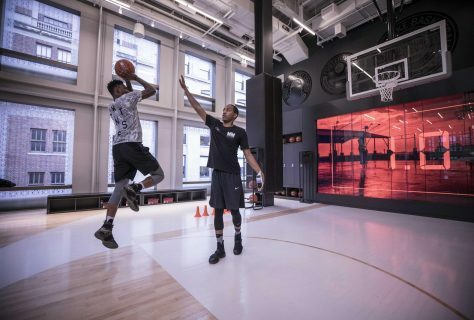 Walking into a modern sports store may lead a customer to fitness trial equipment, dedicated sports areas such as football pitches or basketball courts, in-store exercise classes and generally, an ability to get involved with the brand on a physical level. 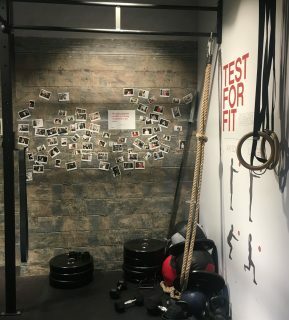 This experiential design isn’t always primarily product related, but instead positively promotes the brand as well as sports, health and fitness. One of the greatest trends that seized retailers throughout 2016 was the advancement of technology, combined with the higher expectations of customers when it came to digital experiences. Sports brands were ahead of the trend, understanding the need to create seamless purchasing experiences through physical and digital (“phygital”) platforms; drawing in their loyal customers as well as the tech-savvy millennial generation. 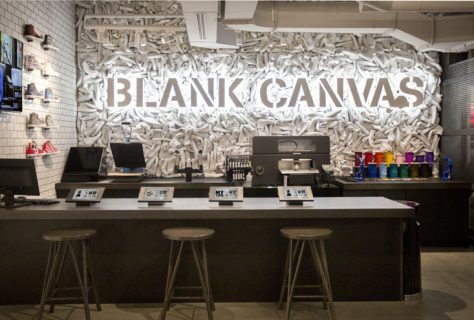 As well as advanced e-commerce strategies, brands modernized their physical retail with large scale video walls, interactive touchscreens and wireless POS systems. We predict that 2017 will only see further digital innovations in-store, most importantly the progress of VR. Mentioned above as a strong 2017 prediction, virtual reality hasn’t been a stranger to sports stores thus far. 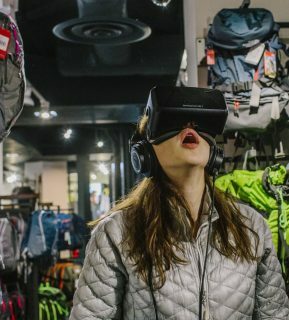 As customers commit themselves to the ease of e-commerce transactions, sports retailers recognised the importance of innovative technologies such as virtual reality and looked to adopt this in-store. Customers can now use augmented reality to design their own NikeID trainers at the brands Paris store, Adidas introduced a VR 360° concept store in Stockholm in a bid to ‘erase the line between the digital and physical store experience’ and The North Face introduced virtual reality headsets to encourage customers to venture out into the great outdoors. 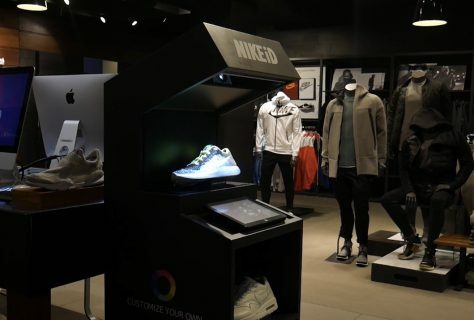 A blend of innovative technology and experiential retail, we expect to see this trend boom throughout the sports industry in the next year. Brands such as Adidas, Converse and Nike offer the ability for customers to design their own trainers, choosing everything from colour and ID tags through to materials and laces. However, personalisation in sports stores is much more than product design and aesthetics. 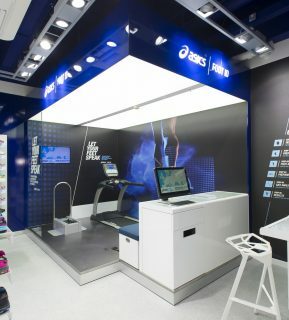 They often include innovative technologies such as gait analysis treadmills (or likewise) for customers to source the perfect trainer for their requirements. This personalisation is based on fitness, technology and performance; lending itself to the experience trend. The vast product list of many sports brands, plus the creativity and boldness of products, lends itself well to using product as display. 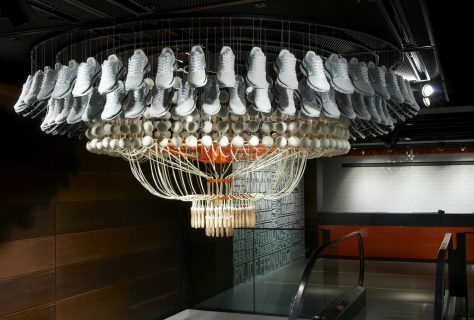 From utilising the entirety of a product such as Nike’s trainer chandelier or using key elements such as Reebok’s rope chairs; sports stores have been creative with their use of product as design. 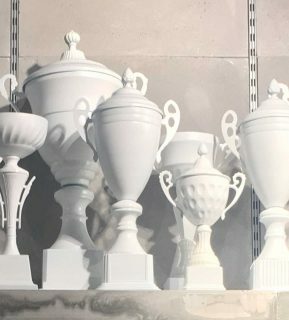 As well as their own products, many stores incorporate recognised sporting products or design as part of their physical retail design; including trophies, gym mats or running tracks.